Taylor-Made is run by Dave Taylor which has been operating since 2006. Back in the day, Dave learned the trade from being an engineer, self-teaching and through attending several college courses such as welding, decorating etc. Dave is a hands-on guy with a hobby interest in classic/antique cars, DIY projects and keeping fit. In this trade it's important to be open, honest and friendly. If you have a question, just ask - we're happy to explain all of our work and discuss the important decisions with you. We're used to working with busy workers who have to leave their home occupied during the day and OAPs who want a lie-in before we start work! It's all fine by us and we'll work around your schedule! Whether it's wood, metal, plastic, plaster, paint or masonry, we've got it covered. 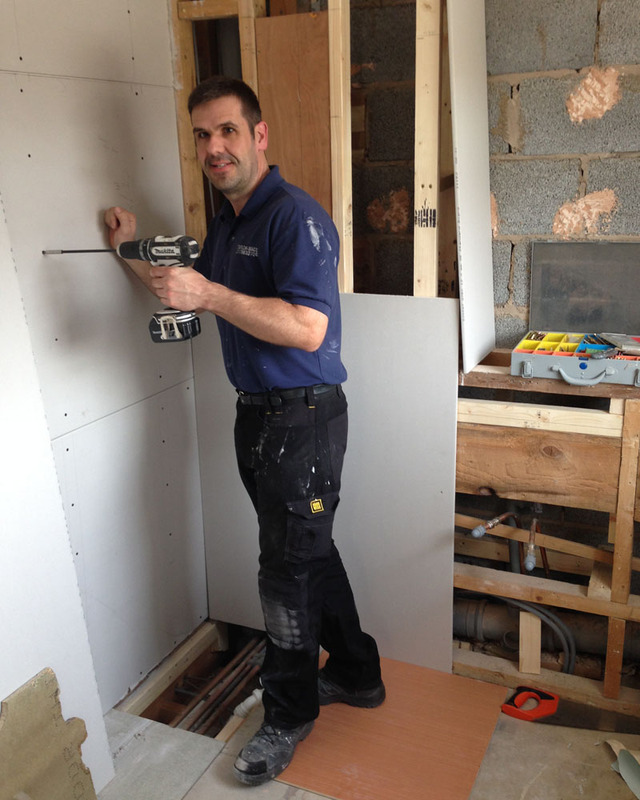 We have all the tools, skills and experience to carry out the entire job from start to finish. You won't need to call in different tradesman to do different bits leaving this disjointed. We can take care of it all. 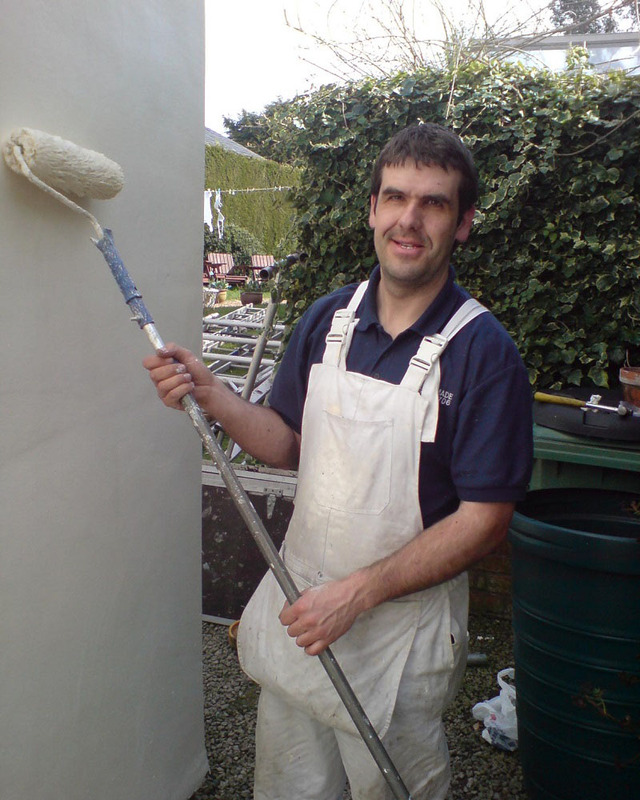 We do painting, decorating, plumbing, carpentry to name but a few - this means we can do entire jobs in every room of the house and the garden too! The diversity of our work is what keeps it interesting so we like to do different things. We are competitive on price and try to include the entire job without hidden extras. On some materials, we can get trade-prices to pass on that saving to you, but you're welcome to supply it all and we will just fit it for you. Our work ethic is to do a job properly. So many times we see poor workmanship, botches and tangles of pipes. Other workmen might just work around that or cover it over as it's not their problem. Our approach is different - we want to make sure everything is structurally sound, safe and fit for purpose. We'll keep you informed every step of the way so there are no surprises. But in the end, you can be sure that the job has been done right to a high standard. When it comes to presentation & the finishing touches, we make sure that is top notch too! At the end of the day, we clean up, vacuum and keep everything tidy for you. A. Taylor-Made is run as a sole trader and thus do not need to charge VAT on our jobs. However materials purchased may still incur VAT. Q. I have to go to work, can I leave you to it? A. Yes, we commonly work on unoccupied homes. Just leave us a key and any instructions. We'll ensure your house is clean, tidy and secure when you return home. Q. Do I need a qualified/accredited electrician or plumber? A. For electrical or boiler work, a GasSafe engineer or NICEIC accredited electrician is a legal requirement. However Taylor-Made can source reliable qualified people who we have worked with before and trust. Q. Can you carry out the entire job? A. 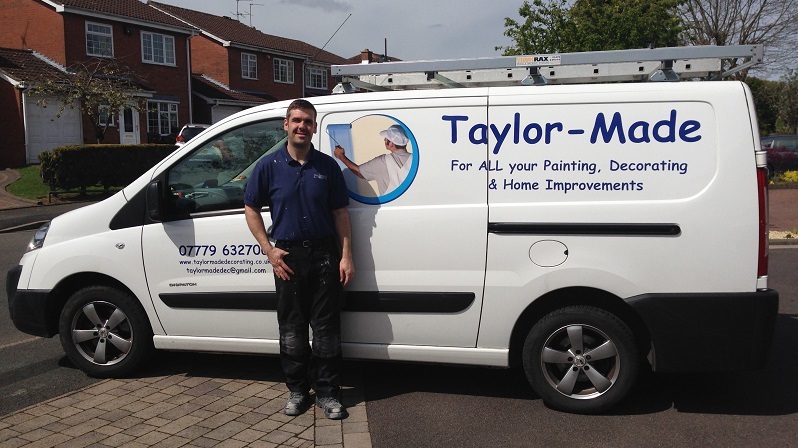 Yes, one of the benefits of Taylor-Made is we can do everything - including pipework, removing radiators, adjustments and structural work. This means you don't have to keep bringing in extra contractors. The only exception is the electrician/plumber for specific work which has legal implications as mentioned above. Q. I've seen something I like on your Website/Facebook, could you do me a similar job? A. Absolutely. If you can send us a link to what you were looking at, we can review the original job and try to source the same materials.